HARTFORD, Conn. (AP) — A painting at a Connecticut museum that has long been thought to be by Vincent Van Gogh has been authenticated as such by Dutch researchers. 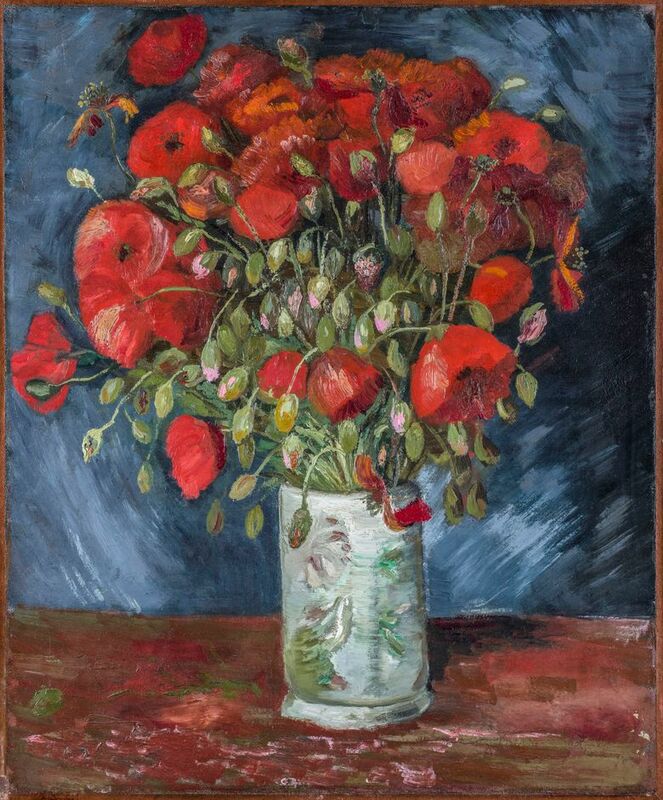 The Wadsworth Atheneum in Hartford announced Friday that the oil painting “Vase with Poppies” has been verified by researchers at the Van Gogh Museum in Amsterdam as having been painted by the Dutch artist in 1886, just after he moved to Paris. It has been in the museum’s collection since 1957. Its authenticity was called into question in 1990 by art historian and Van Gogh expert Walter Feilchenfeldt, who raised concerns about many purported Van Goghs around the world, the Hartford Courant reported. The artwork was taken out of museum displays and shelved. Years later, with advances in technology and knowledge of Van Gogh, the museum decided to revisit the question. It was examined initially at the Atheneum, where a digital X-ray revealed an underpainting that looked like a self-portrait, which added to confidence about its authenticity. The museum in Amsterdam analyzed the artwork’s paint, materials and style to conclude it was indeed done by Van Gogh. “One can say that slowly but surely, real progress is being made in Van Gogh studies. Some of these floaters even turned out to be firmly anchored in Van Gogh’s oeuvre, and ‘Vase with Poppies,’ I am happy to say, is one of them,” said Louis van Tilborgh, a senior researcher at the Van Gogh Museum. The artwork fits stylistically with other floral paintings he made shortly after arriving in Paris. The Atheneum now officially has two Van Goghs in its collection. The other is a self-portrait painted in 1887. “Vase with Poppies” will go back on display in April. “These studies have revealed just how much we still need to learn about Vincent and his growth as a painter, new to Paris and exploring new avenues for his art,” Wadsworth CEO Thomas Loughman said.